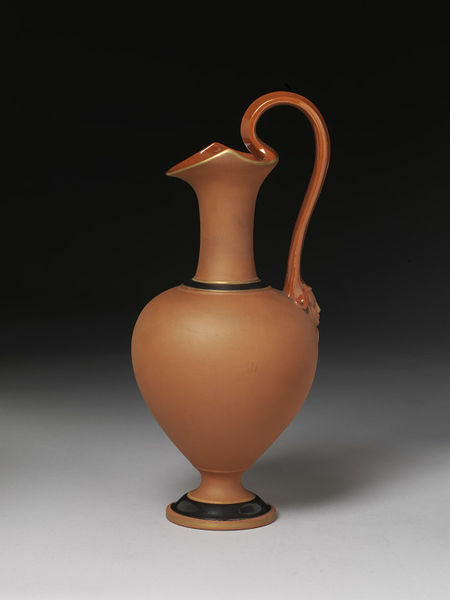 Jug of red earthenware, partly glazed and painted with black enamel and gilded. In the form of an ancient Greek oinochoe, with a female mask at the base of the handle, and horizontal bands of black and gold. Jug of red earthenware, partly glazed and painted with black enamel and gilded, Watcombe Terra-Cotta Co., Torquay, 1869-1876.